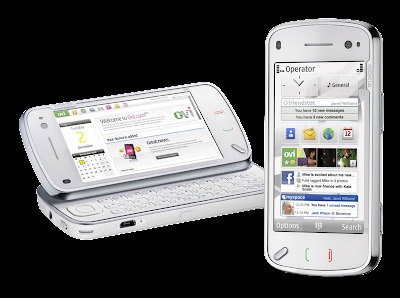 Nokia N97 Symbian smart-phone is a combination of phone and Mobile Computer in the N Series. 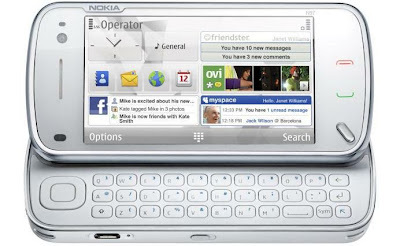 The Nokia N97 is a S60 5th Edition mobile computer with a large TFT color display with resistive touch screen .The device provides excellent user experience for internet and entertainment. 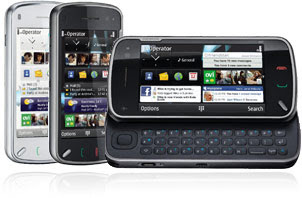 Use the N97 to connect to mobile broadband using WLAN or HSDPA (3.5G). Find directions and locations with the integrated A-GPS and included maps. Additional features include game titles with N-Gage, a 5 mega pixel camera with dual LED flash and automatic geotagging of images and videos.